Help users engage with your content through one single UX hub. Create user guides and interactive on-page tools that work 24/7, in all devices. A customer experience tool that allows creating interactive user guides and on-page support content without coding required. Not only can you create step-by-step tutorials to guide users through any page of your website, but also monitor behavior and receive feedback. All this without ever leaving your website/product. Adaptability is key. Helppier is a customizable UX application designed to help you achieve several business goals simultaneously. Whatever those are. 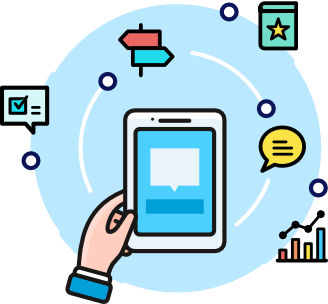 Provide 24/7 contextual user guides and personalized guidance. Use Helppier to provide a powerful customer service. Ensure that online customers are informed through interactive on-page guides and step-by-step tutorials. First time experiences can be pretty scary and if users don’t understand your product, it can cost you a few thousands. With Helppier you can train employees through interactive step-by-step guides and on-page lectures, instead of hiring instructors to do it. Our widget is available anywhere, at anytime and on any device, helping you save money, time and other resources. and why they shouldn’t live without it. 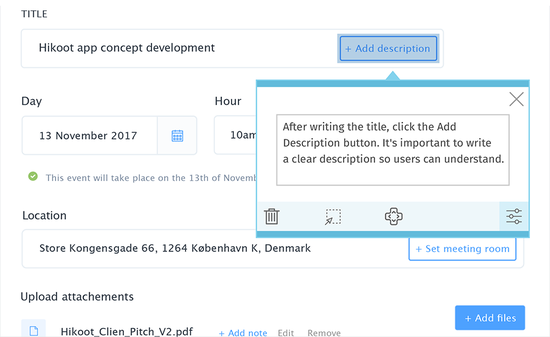 Create a learn-by-doing experience and engage users from the moment they start using your web application. On-page guides and step-by-step tutorials will help users interact with your product and, eventually fall in love with it. Quickly create on-page user guides without coding. Helppier lets you choose your own content as well as adapt user guides to fit your website’s design, without coding. You can save up as much information you want while keeping your task instructions organized. Don’t let customers leave your page. Create a product that interacts with its users. Users don’t like what they cannot understand. Design a more pleasant experience by showing the benefits of your product and answering questions right before they appear. Help users before they even ask. Get a free trial for 15 days when you schedule a demo. We supply an intelligent online tool that recognizes and meets your customer’s needs. Create dynamic step-by-step tutorials and on-page support. Increase engagement with tailor-made messages in the right place and time. And provide user manuals that feel like a real-time lecture. User Experience shouldn’t be painful anymore. Create an effective workflow that runs on different pages. Our interactive guides support multi-page navigation, meaning that your users can be redirected to a page of your choice when clicking the “Next” button. The guide will continue to be presented there. Engage online users through clean, intuitive workflows. Our tool works like a smooth UX layer that is added on top of your website. We provide a fully customizable widget that will blend in perfectly with your website, optimizing the overall user experience. Interactive information for busy users, on any device. Personalized guides for users around the world. Multiple support tools living together in one single space. A UX layer that runs on any browser or operating system. ”Helppier team was selected to collaborate with Telia as their solution to provide a more intuitive customer online journey. The team is dedicated and excellent to work with. ”Helppier helped solve one of the biggest problems that we had by allowing users of our tools to get the information/help they needed without having to contact our support lines. Also, with Helppier we were able to reduce by 95% of the cost of user documentation. ”Helppier Solution helps with the training of our new apps, saving us a lot of time! You can now test Helppier without having to install a snippet code on your website’s layouts. We provide an easy-to-use Chrome extension which allows you to create, save and play guides on top of any website of your choice. No need to paste a snippet code on your website. Create a wide variety of guides on top of any webpage. An easier and faster way to see how the guides will look for end-users. Create interactive guides that only your account users can access.